Wheelhouse Solutions uses industry-leading software, with years of customization to provide the most accurate network monitoring possible. We monitor not only your servers, but your routers, switches, and desktops too. Preventative maintenance is the secret to keeping technology running optimally, and avoiding expensive downtime and data loss. At no cost or obligation, we’ll come on site to perform a complete network assessment to see if your network is properly maintained for maximum speed, security, and performance. We’ll look for hidden problems like spyware, failing hard drives, or out-of-date security patches, as well as check your network’s security, system backups, and other critical maintenance issues that can turn into extended downtime and expensive repair bills. You have the option to securely store, share, and work with documents, anywhere you have internet access – not only with your internal team but also with external collaborators. With enterprise-level security, you decide who accesses secure files. O365 Essentials provides your team with enterprise-level email, calendaring, and tasks. Wheelhouse Solutions combines this with our email security and spam protection to minimize your risk and improve your productivity. After hours-maintenance and patching of your network is key to having it function optimally. Regularly scheduled maintenance and patching are vital in preventing major issues, optimizing performance, and minimizing security risk. Wheelhouse Solutions provides Managed Network Services to all types of businesses big or small. 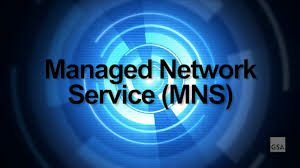 We invite you to click here or call us at 314-492-2506, to request additional information about our Managed Network Services. We’ll work with you to develop a solution that will meet your needs now, as well as provide for future growth and flexibility.